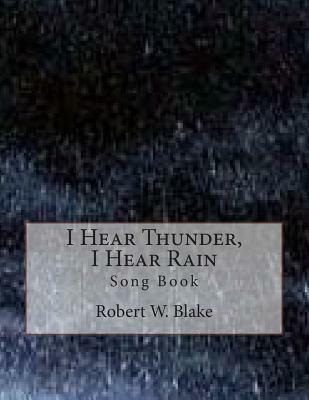 This book contains the songs on my I Hear Thunder, I Hear Rain CD in printed form with chords and lyrics. The songs are: I Hear Thunder, I hear Rain, Ode To Natue, Disaster In The Gulf Of Mexico, Same Old You, In Good Company, See You Later Baby, Need A Hand, It's Too Late Baby, My Lovable, Hugable, Kissable, Missable You, Sing A Snog. All songs are copyrighted, registered with BMI and available through cdbaby, amazon, I-tunes, facebook, spotify and many other online music sites.